Hearing aids are small and incredible pieces of technology, however every now and then, they may require professional repair. If you’re having issues with your hearing aids, the experts at Audiology Innovations can help. We’ve been providing Calgary with the best hearing aids and assisted listening devices for years and our hearing loss specialists are dedicated to your complete satisfaction. Schedule an appointment with our hearing loss specialists today! Today’s hearing aids are specifically built to withstand wear and tear, but there are certain elements that can still cause damage to them. Without proper cleaning and maintenance, it’s common for hearing aids to require repair due to a buildup of ear wax or debris within the hearing aid. If your hearing aid has been exposed to water or high levels of humidity, there’s a good chance there are some electrical malfunctions going on inside of your assisted listening device. In the event that your hearing aids aren’t functioning properly, consider the following steps before calling our team at Audiology Innovations. Check to make sure your hearing aid is turned on. While this may seem like a no-brainer, you’d be surprised how many people with hearing aids forget to turn them on! It’s also important to keep in mind that it can take up to a month before you become fully accustomed to your hearing aids. Turn up the volume on your hearing aid. Hearing aids can come with many settings and features, one of which is volume control. If you suspect your assisted listening device isn’t working, make sure the volume has been set to the appropriate listening level. Check your hearing aid battery. 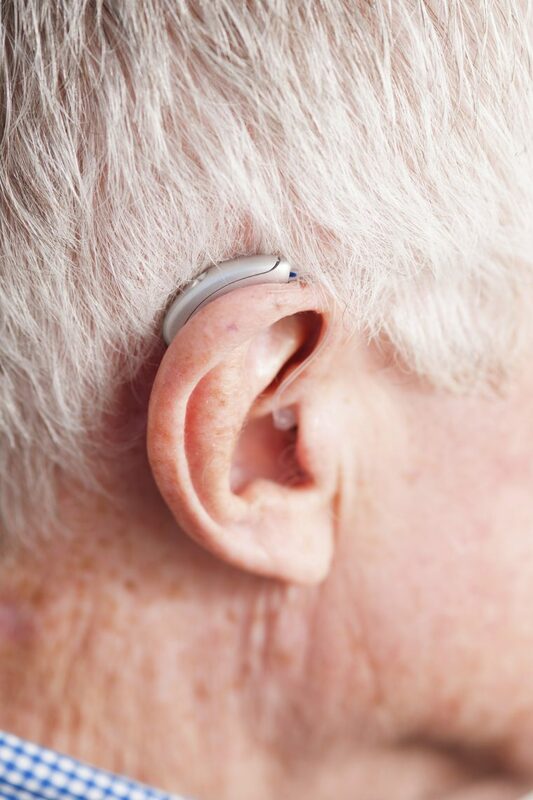 If your battery has died or is placed into the hearing aid incorrectly, your hearing aid will not function. If you have tried all of the steps above and your hearing aids are still not functioning properly, it could be time to contact a hearing loss professional. Whether your hearing aids are composed of analog or digital electronics, the certified audiologists at Audiology Innovations can help you repair or replace your worn out hearing aids. Contact us today! Since hearing aids are such tiny and compact devices, it can be easy for earwax and external debris to build up in its small holes and crevices. In order to avoid excessive build-up from blocking your hearing aids internal microphone or sound ports, consider cleaning your device every day with a dry cloth. This can help to improve the longevity of your assisted listening device, while also improving your ability to hear clearly. In addition to properly maintaining your electronic hearing aid, consider making a regular habit of cleaning your ears. While earwax is a completely natural secretion of the ears, it can cause trouble when it comes to your assisted listening device. If you suspect a large buildup of wax in your ear or your hearing aids are losing their functionality, contact our Calgary audiologists today!